Helmed by CEO Michael Zilbershlag, Leviticus Cardio’s technology uses a receiver inductive coil implanted in the body alongside the VAD, coupled with a battery and an internal controller. An external coil, placed within a vest for easy carrying, charges the inner coil electromagnetically. The battery lasts for around eight hours, after which the user needs to wear the vest for charging. A wrist monitor is used to keep track of the VAD, coupled with an internal vibration alarm that is triggered by a major hazard such as low battery power. 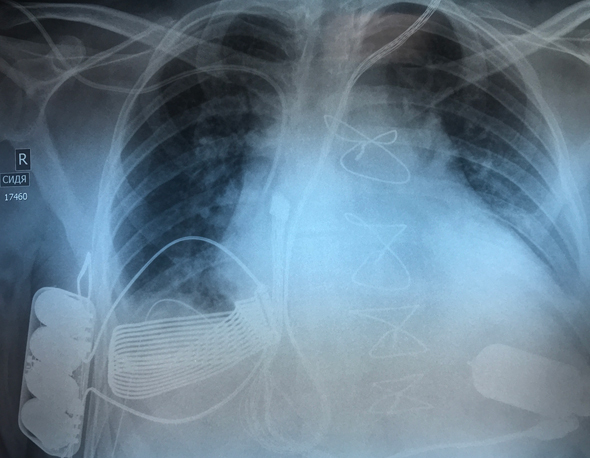 Just in case of malfunctions, Tursunov has also been implanted with a wire-based backup charging system that uses an internal power cable connected to the VAD. The cable passes under the neck skin and provides a skull-mounted “socket” behind the ear, in the same area cochlear implant electrode wires are passed into the body. The technology, also developed by Jarvik, is already approved and in use in Europe, but Leviticus Cardio states it has not been needed once since the surgery. There are always going to be more patients in need of a transplant than available hearts, Rhodes said. “I expect that at least initially, the patients we implant will be a ‘bridge to transplant’,” he said. Once the benefits and safety of the technology are made apparent, he expects it will become a long-term treatment.